Hiking in the Cairngorms National Park is a special experience, it’s no wonder that it was named by National Geographic as one of the top 50 Great Places on Earth. 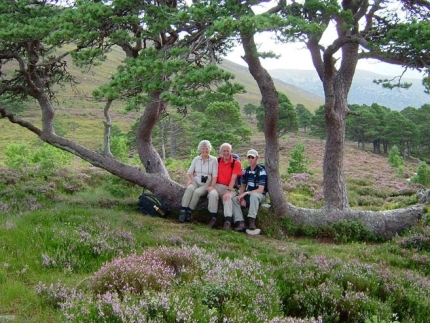 Cairngorms National Park is located in northeast Scotland, officially established as a park in 2003. It is Britain’s largest National Park and located within the heart of the Scottish Highlands and is home to reindeer, ospreys, eagles, wildcats and red squirrels. The Cairngorms National Park is truly a thrilling land of adventure and discovery, and it also boasts natural wonders containing, mountains and gorges, forests and rivers, and within the park you will wonder in the delight of ancient highland communities and whisky distilleries. From the majesty of Royal Deeside (where the Queen has her Scottish residence at Balmoral Castle) to Strathspey, where the high plateau - flanked by some of Scotland's oldest forests - rises above the charming villages, the park delights at every turn. Enjoy some of the best easy hikes on this two centre circumnavigation of Scotland's largest national park. There is a huge variety of possible hikes to choose from but wherever we venture, we'll enjoy the fantastic scenery, sense of wilderness and rich history and heritage.